I really enjoyed this – great writing! Touching all my emotions, you’ve done it again ! Brilliant. The dueling decades. I wish those dratted 50s would give us 60s a little peace and then the chocolate bar in hand would justify the forgotten gum……. Oh my goodness haha this is great! Very, very clever and well done! Oh my word. This was absolutely wonderful. Such a great tale. Really well written! I LOVE IT!!!!!! What a fabulous thought train you get us to ride on! Your poetry is something special. The picture caught my eye as soon as I scrolled down to your poem. 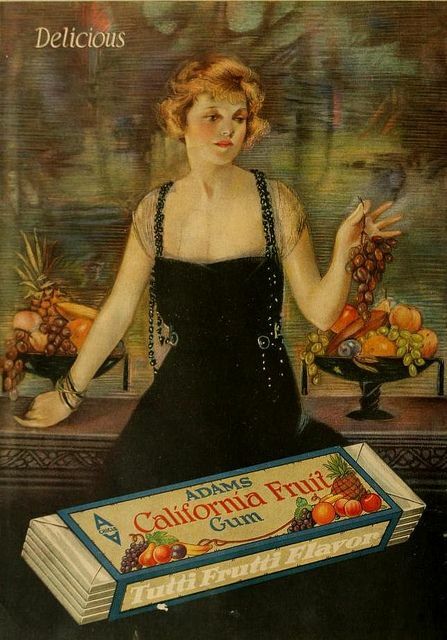 I wondered if the pack of gum was original to the picture. I love your take on the shops. Your ending somehow manages to be a paradox with the picture. I love it! So many critters captured and pacified in this little cage of a poem. Thanks. Brought the reader on a journey, traipsing past all these stores, individuals, and the character’s actions as well as thoughts. Well-done. Thanks I liked that very much. Love it. Full of astute observations!! I started to wonder why it was called “Gum” and before I could even formulate the question, you answered it. Wow, thank you … That is all!